You would think I was really in a bank. But no, I was in the Canada Permanent Mortgage Corporation building on Garry street in Winnipeg. All that was ever in these vaults was paperwork. The Canada Permanent Mortgage building was built in 1909. 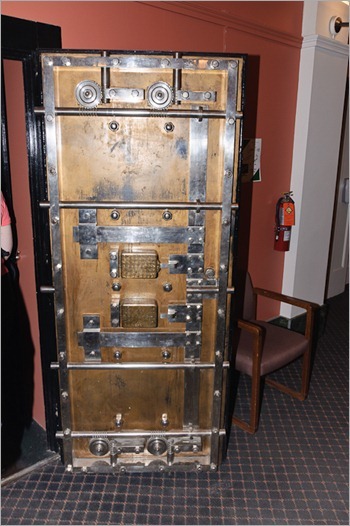 It was built like a bank, complete with vaults and everything. It also had the director’s apartment on the top floor with a private entrance to the building. Strangely enough, the directors never occupied the apartment. When the building was planned, only seven plans were made for it, and it lasts now for more than a hundred years. Some of these plans are now exhibited inside the vaults. 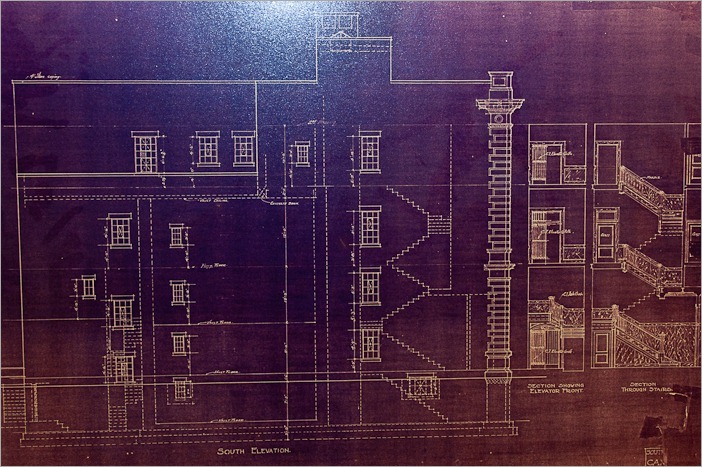 You would guess that these plans are highly secret and well kept, but no. They are now used as decoration, the mortgage deeds are now elsewhere. Today, the building houses the Telpay company, giving Canadians the possibility to pay their bills by phone, for a fee. 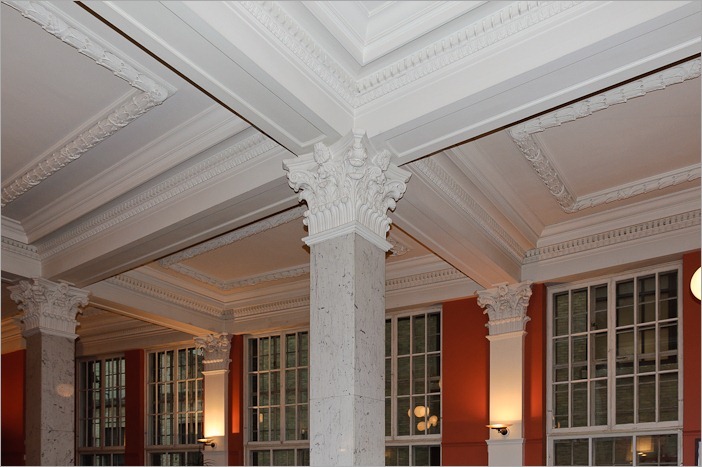 The building was made with prime quality materials, like Italian marble for the floors and columns. 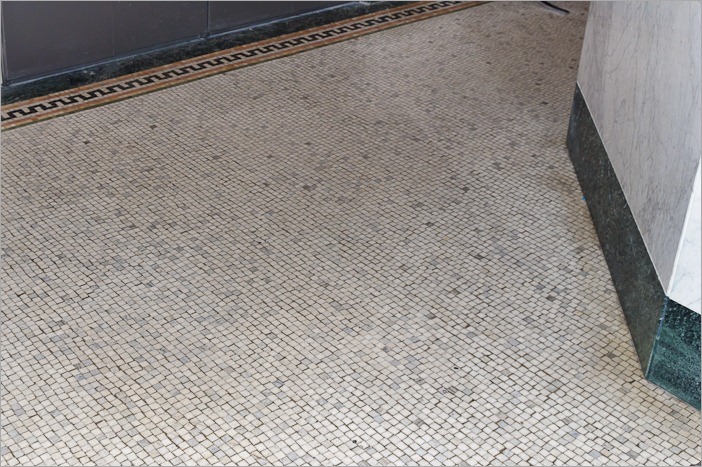 Even if this floor looks like my bathroom floor, (roughly constructed at the same time) this floor was entirely laid by hand, tile by tile. The entrance is a dome, nicely decorated. 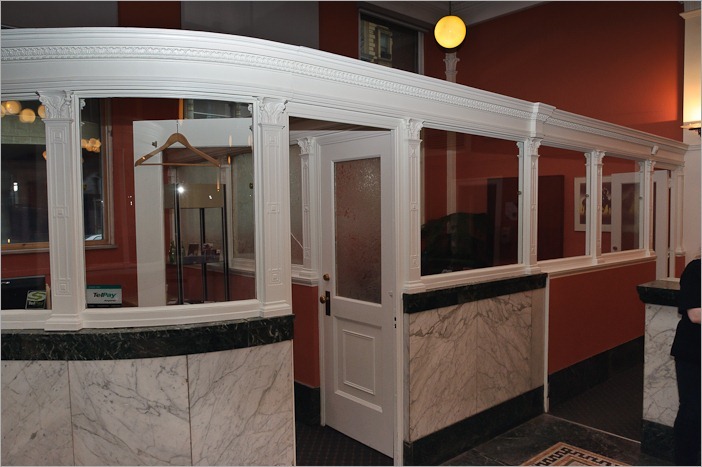 Once inside, the teller’s head office is still there, with the original rounded glass. The current director of the company and the ones before him have kept the building mostly in the original state. It leaves us with a good opportunity to look and appreciate the building skills of a century ago. As a European I have also witnessed the building skills of the ancient Romans, but that is hardly comparable. The ceiling in the Telpay building is high, very high. I came here the day I bought my new SB-600 Speedlight and promptly overestimated its capacities… The weather outside was rather gloomy and wet, leaving me with only the flash to get some light. The SB-600 does not give *that* much light. The upper floors house the offices, also mostly kept in the original state. I guess the computers are not original, but that’s only my impression. 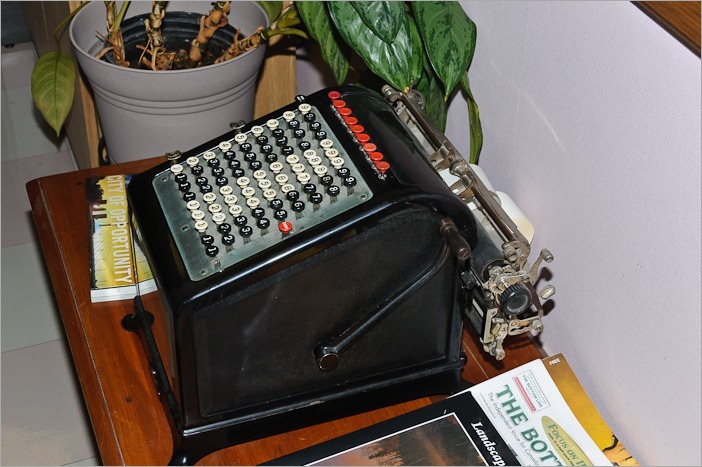 Don’t ask me how it works, this thing was already old when I wasn’t even born yet. It still looks as if it would work though. 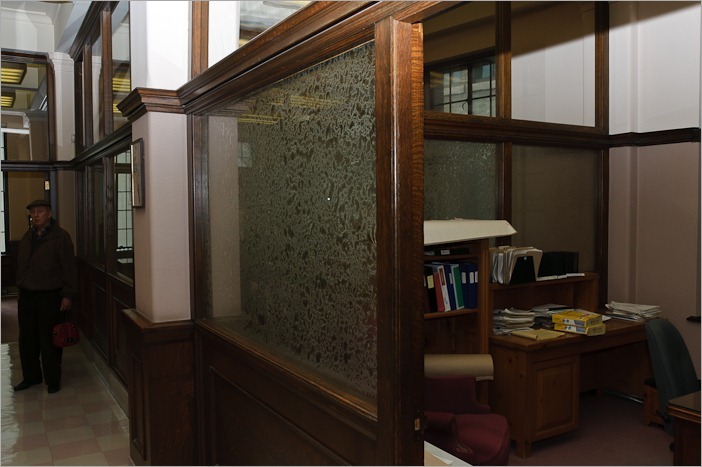 Much of the furniture is mahogany and oak, the interior windows are all original etched glass. Once, one of these windows was broken and the replacement took a very long time to arrive. 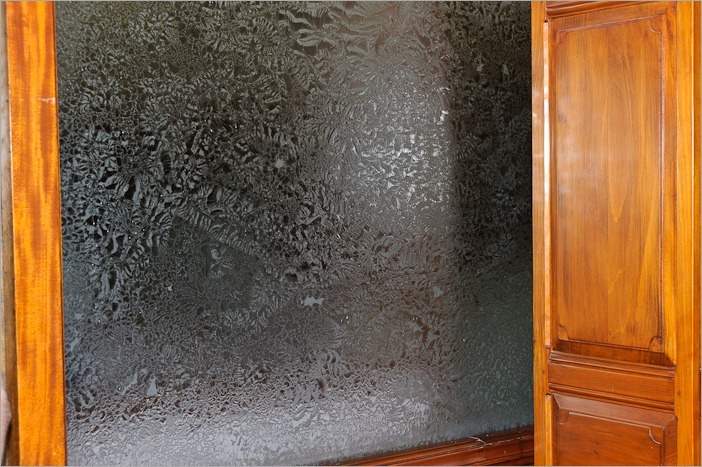 Workmanship and methods have changed over the years, etched glass hasn’t been in fashion for a long time. 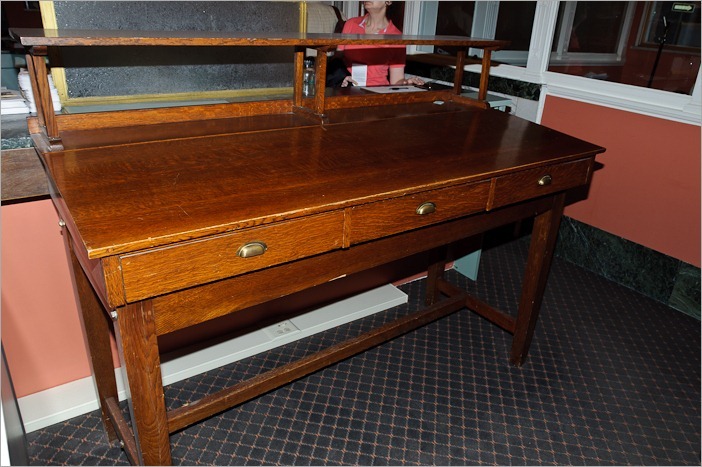 Of course the director’s office would have to have something more luxurious than a simple worker’s office. That was the thought I had when coming in the building on the ground floor. 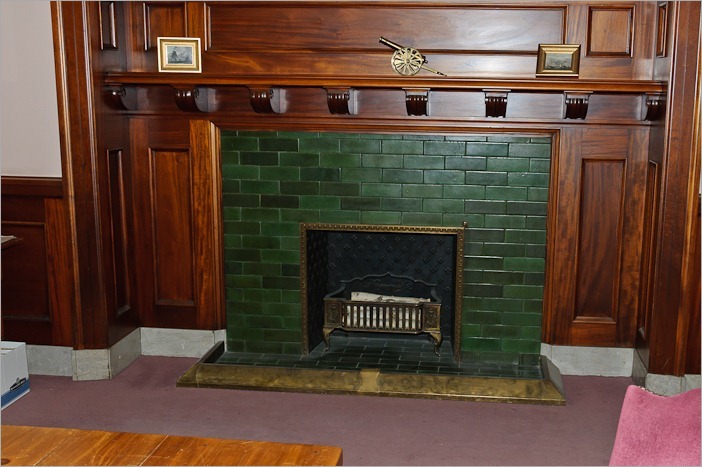 And yes, the director’s office sports a nice fireplace. Today it is not used anymore, but it’s still there. This office is currently occupied by the director of the Telpay company. I guess that tradition has to prevail in the building. The small reproductions of ships and vessels on the mantle are by Ludolf Backhuysen. Interesting enough, I was born in Holland not far from the Ludolf Bakhuizen street. It seems that this is the English version of his name. Yes, you would have guessed: Otis. 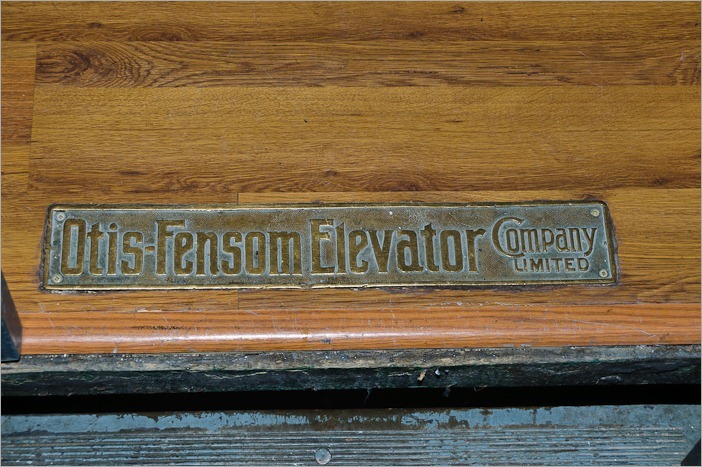 The Telpay building today still keeps lots of its original assets and charms. It was only thanks to the Winnipeg Open Doors weekend that one could visit the building. The guide gave us lots of information and was really helpful with answering questions. 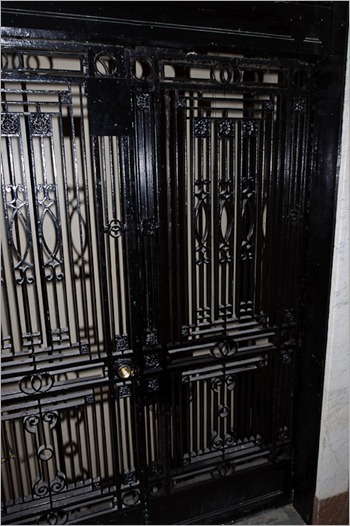 Like I said, a perfectly good occasion… to visit old buildings in Winnipeg, The Open Doors weekend. The vault was open, and I could take everything I wanted inside. In my case, all I wanted was pictures, and I got them.